Ghost Long Board. Photos by Braden Latimer. Skateboarding has not historically been considered a family sport, but neighbors and business partners Russ Warner and Brent Johnson are on a mission to challenge the stereotypes of skate culture. Their company is Ghost Long Board. 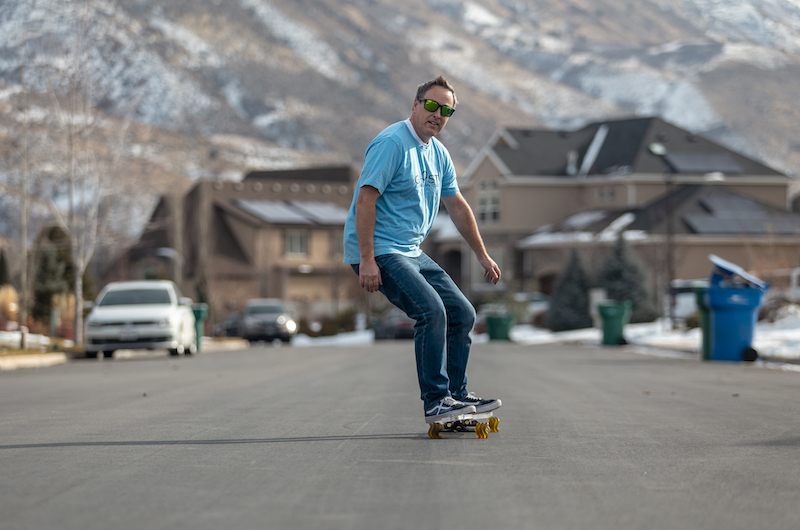 Located in Cedar Hills, it makes plexiglass longboards designed to get the whole family outside and active. Russ grew up skateboarding but never dreamed of building a career around it until 2011. His inspiration came from a skateboard that Brent designed for his son from a scrap piece of plexiglass. As a sales and marketing professional for the past 25 years, Russ recognized a unique product that would fill a niche in Utah. “Ghost Long Board was my mid-life crisis. Either you buy a sports car, or you start a skateboard company. I decided to go the skateboard company route,” the 47-year-old father of three says. 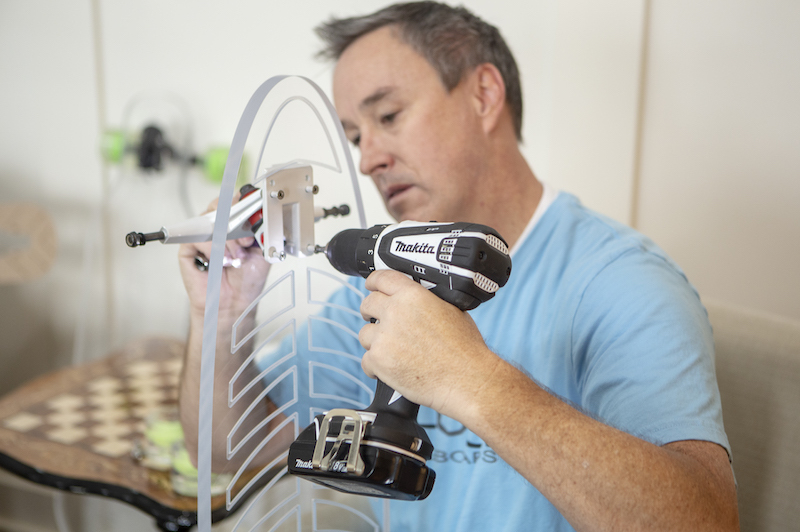 It took some time for him to convince Brent to join him in this new business venture, but now the two are an unstoppable force, filling about 200 custom orders per month. With Brent handling the design of every board, Russ heads up all product sales, assembly, and shipping. Co-owner Russ Warner tries out the product. 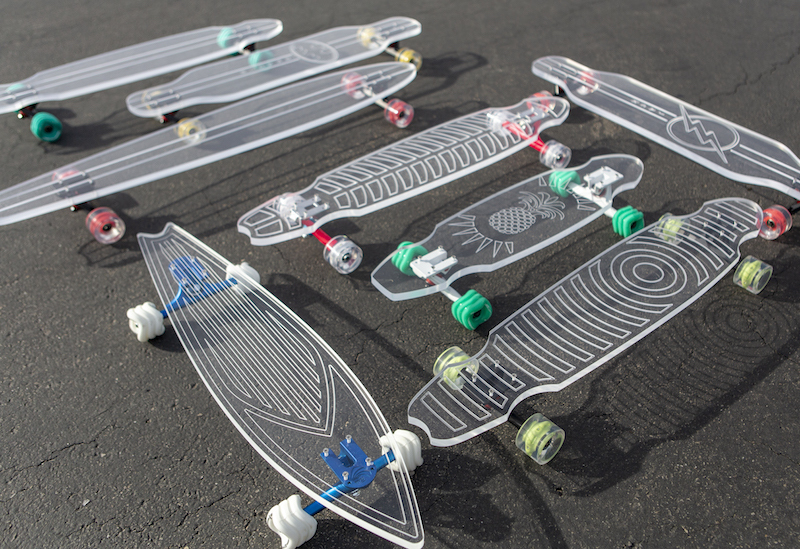 Ghost Long Board products are made of customized plexiglass and are designed to, in Russ’ words, “disrupt the wood game,” and also to open up the world of skateboarding to people of all ages and skill levels. “Longboarding isn’t about doing tricks and shredding. It’s about freedom, mobility and getting outside and active with the family,” he says. The company’s focus on family also extends to business operations. Their own families participate in product assembly “parties” in Russ’s living room on a regular basis. Though Ghost Long Board offers 10 standard designs, the vast majority of the company’s sales are custom orders. 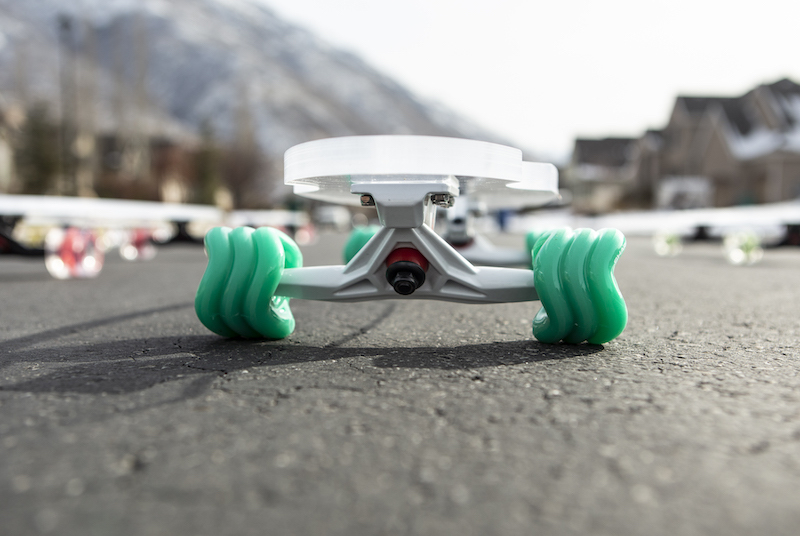 Customers can select their board shape, design, lights and wheels. The clear plexiglass that each deck is made of is perfect for corporate and promotional logos. Russ and Brent have produced longboards for giveaways hosted by organizations such as Penguin Brothers, along with custom designs for celebrities like Neon Trees and Imagine Dragons. By forming strong partnerships with Shark Wheel and Jucker Hawaii, as well as adding a new distributor in Germany this year, Ghost Long Board is making quite the impression on the skateboarding scene, not just in Utah, but also worldwide. Ghost Long Board can be contacted through their website.